Lifting and throwing kegs has long been synonymous with strength. Mac Batchelor was undefeated in arm wrestling for 20 years, from the 1930s through the 1950s. Batchelor was a bartender, bouncer and cooler (all in one) in Hollywood, CA and would never turn down an impromptu arm wrestling match to anyone that walked into his barroom. Folks realized they could not beat Batchelor in arm wrestling so the impromptu events turned into picking up kegs and racing down Hollywood Blvd. At four years old, I remember watching Bill Kazmaier win the keg loading event in the World’s Strongest Man (WSM) contest; while other competitors picked up and ran the kegs to the loading platform, “Kaz” got in a psychotic rage and threw them, saving time and, ultimately, running away with the event. Since that event, keg lifts and throws have been a staple in everything from the local bush league strongman contest to the WSM. Watching Kaz was one of my early inspirations to pursue strength. Hell of a lot of fun! Chrome machines require a scotch budget but yield Natural Light results; kegs are the opposite and can generally be obtained with little to no cost. Just go down and ask the bartender at the local kick-n-stab beer hall, more than likely he can hook you up, if not, a keg can be obtained for less than the cost of a day pass at a trendy chain gym. In strongman contest, generally, kegs thrown for height are empty, kegs being loaded are filled. The weight of an empty keg is approximately 30 pounds; the weight filled depends on what the keg is filled with. Water- A keg filled with water weighs approximately 160 pounds. Because the water sloshes around, handling the keg is difficult and a fun challenge. Cement/Sand / Dirt /Lead Shot- these materials wont break the bank. These materials make the keg have less shifting, more like lifting traditional limit strength test. Be creative, after all, it’s called “odd lifting”. Instead of attempting to describe all of the things one can do with a keg, I enlisted the help of Matt Mills. Matt was a longtime client of mine and the owner of Lightning Fitness in South Windsor, CT and a top-ranked professional strongman. If you are not satisfied with your current levels of strength and conditioning, instead of drinking the keg with the local herd of has-beens, start lifting the keg! 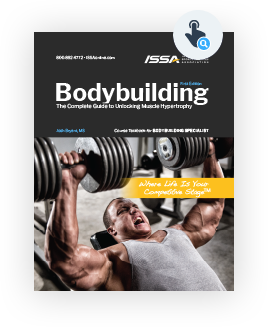 Learn how to maximize MUSCLE HYPERTROPHY with strongman techniques by grabbing Josh’s ISSA Bodybuilding Specialist Course.